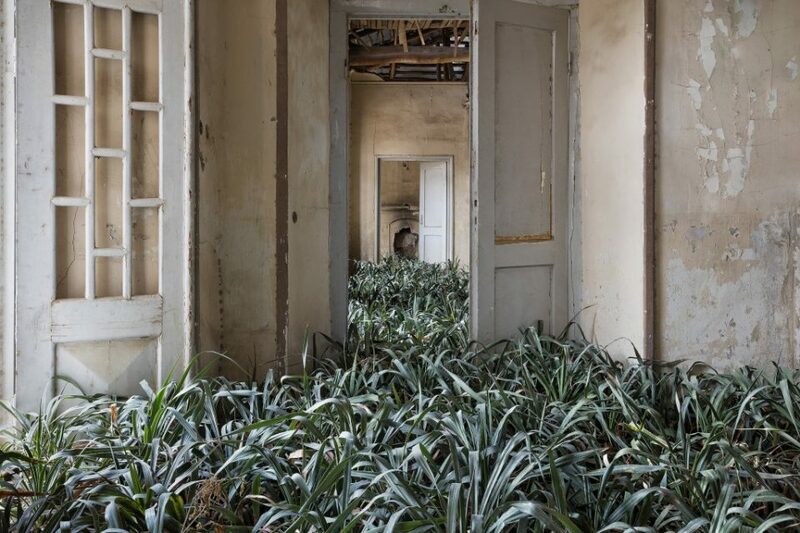 A series of abandoned houses in Iran’s capital city overflow with vegetation in varying states of vitality and decay, making them feel untamed, out of control and perhaps impossible to save. 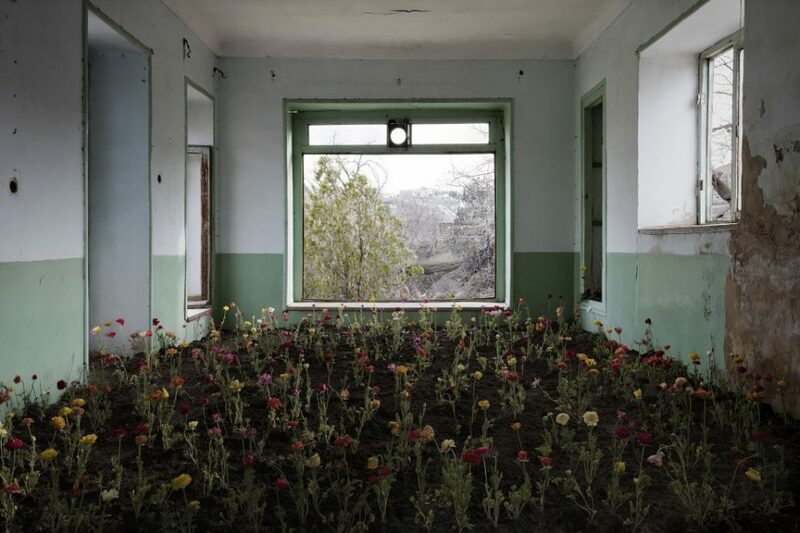 In some rooms, saplings spring up from cracks in concrete with a certain defiance, and flowers bloom in the dim light. 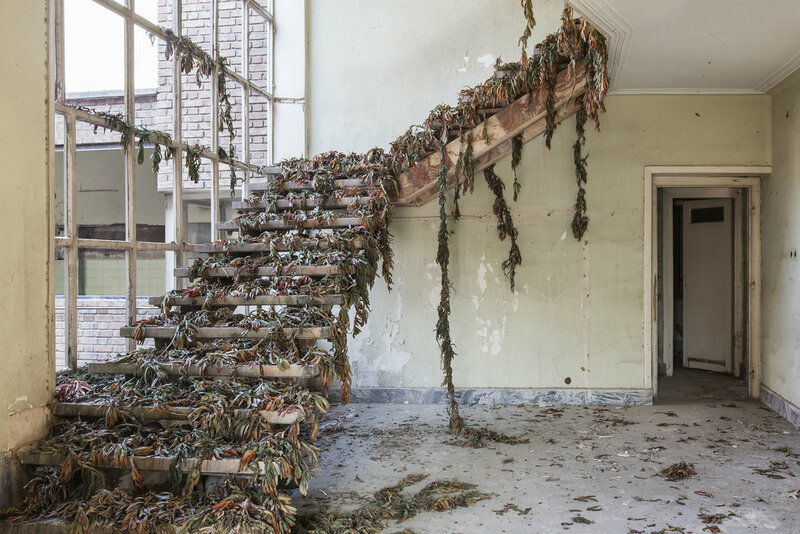 In others, dead garlands drip down staircases, and shrubs that should be evergreen have begun to wither and turn brown. 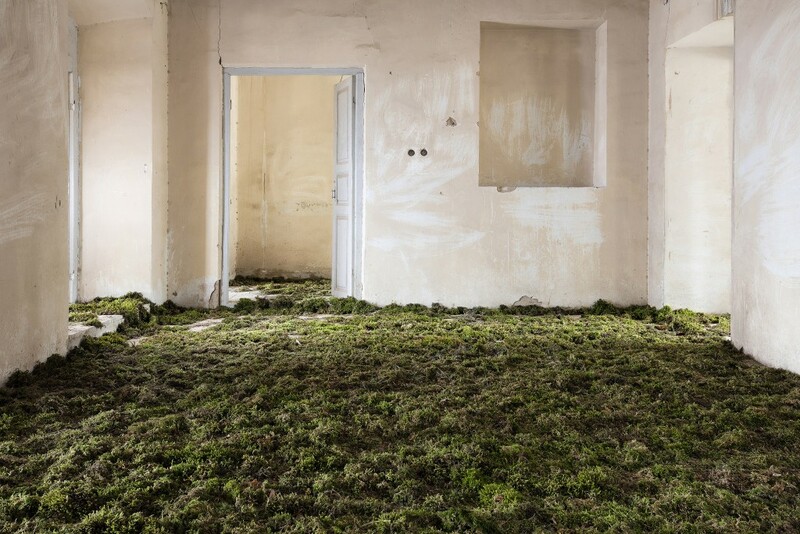 The variation speaks to the different ways in which people might respond to their homes suddenly no longer being safe – whether they find a way to go on, or succumb. 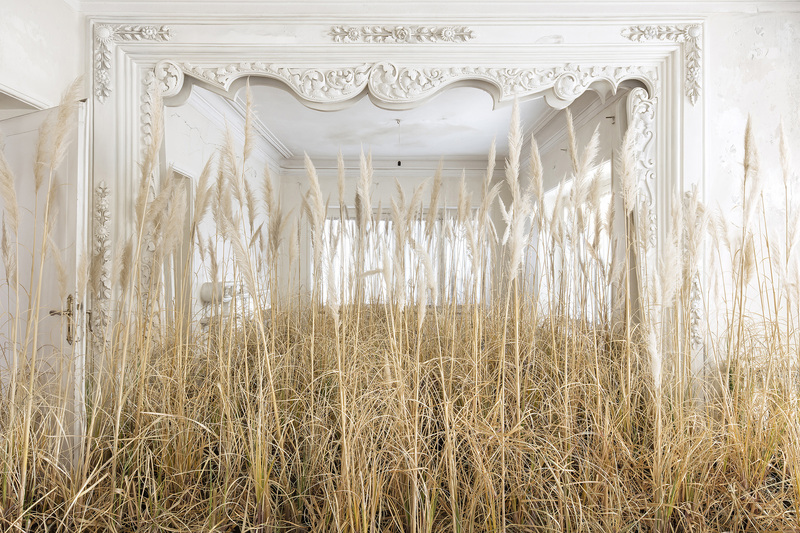 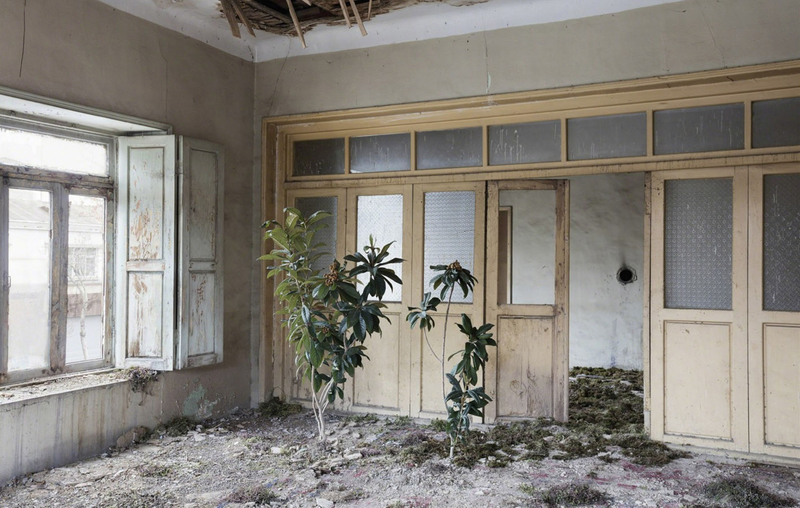 Born in 1980, Iranian artist Gohar Dashti grew up with the terror of war as part of her everyday life, and her work carries the pervading sense of violation that comes with loss of home and sanctuary. 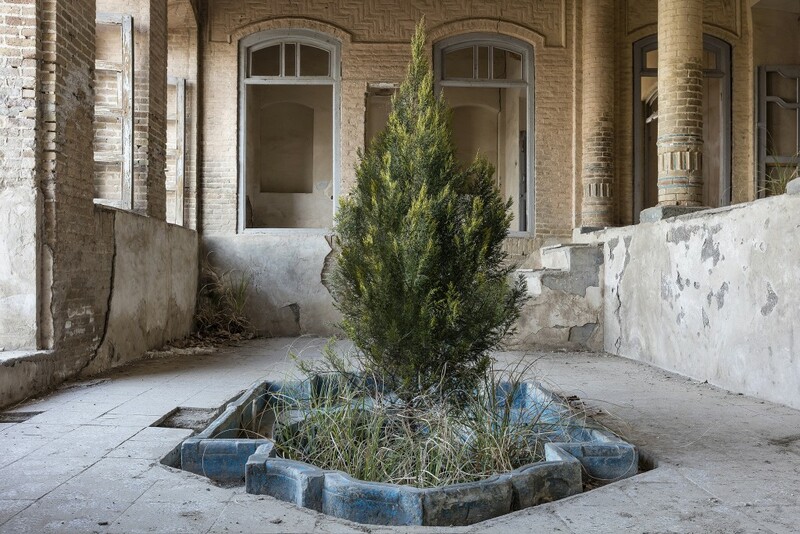 Each of the residences depicted in her series Home once belonged to a family that had to leave Iran for political or social reasons; the once-beautiful structures are in danger of collapse. 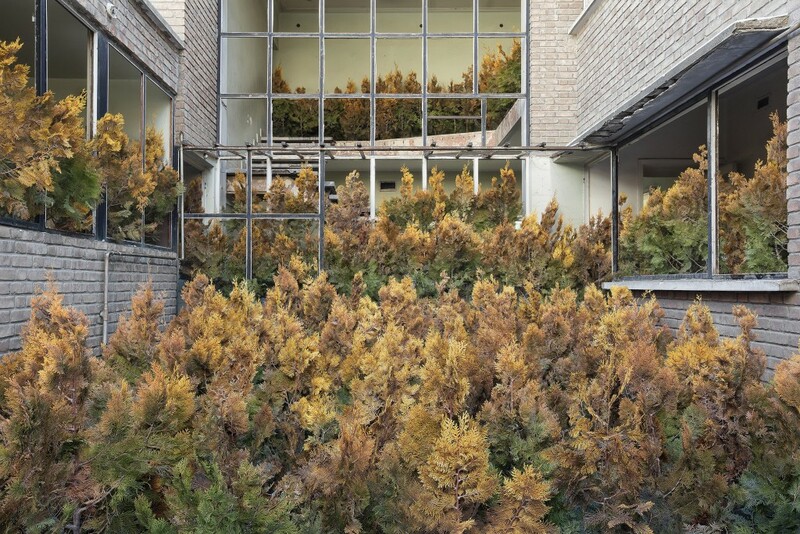 Though it’s certainly common for nature to take over abandoned spaces on its own, these photos have been staged to capture a certain mood.